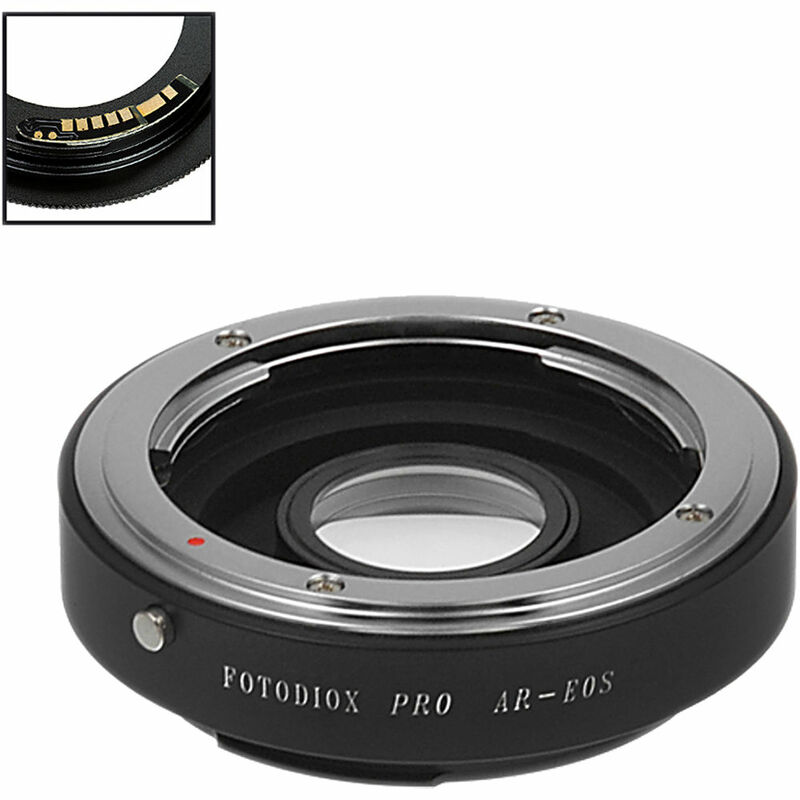 This FotodioX Pro Lens Mount Adapter allows a Konica Auto-Reflex mount lens to be used on a Canon EF or EF-S mount camera. It is designed to support focusing to infinity, is constructed from brass as well as aluminum-alloy, and utilizes a brass lens mounting ring to provide a durable, yet lightweight camera-to-lens connection. A Generation v10 chip built into the adapter enables focus confirmation within a Canon EF or EF-S mount camera when used with a Konica Auto-Reflex mount lens. This feature allows focus to be quickly and accurately achieved through a compatible camera's viewfinder or live view feature. Inside this Pro Lens Mount Adapter is a removable, multicoated, 1.4x corrective lens. While installed, the lens enables infinity focusing while the adapter is used with a compatible camera and lens. If the adapter is used with the corrective lens removed, enhanced macro focusing capabilities are possible. Box Dimensions (LxWxH) 3.45 x 3.05 x 1.5"